The arch, thrown over the Sadovaya, joins the Lyceum with the church wing of the Great Palace; here, during the Swedish dominion, stood a wooden one-storied house, found by the okolnitchy Apraksine in 1702 in a very decrepit state. According to Iakovkine's history of Tsarskoe Selo, this house stood near the north gate, which leads to the Palace Square. Next to it was a small wooden building with two rooms. Both these houses, a little restored served, as a temporal residence to Catherine Alekseyevna. In 1718 the Empress Catherine I ordered to build a stone palace exactly in the middle of the garden, which occupied the square from the palace to the recess near the Upper Bath House. That palace was built by the architect Braunstein. It had 2 stories, was 15 sagene in length, 9 in width, and contained 16 rooms in both stories. The principal staircase of today and the rooms next to it are on that spot. In 1724 the decoration of the palace, built and furnished in the Tsar's favorite Dutch style, was terminated; and on the 9th of August 1724 the whole court "feasted here several days". After the death of the Empress Catherine I in 1728, the estate of Tsarskoe Selo passed by testament to the Tsarevna Elizabeth Petrovna, who, being in want of money, before ascending to the throne, looked upon this estate as on a source of revenue, and often lived in retirement in the little stone palace, hunting in the neighbouring forests, and in the menagerie. (Now a part of the Aleksandrovski Park behind the Cross Canal). Nevertheless, during that period of her life, the Tsarevna grew so fond of Tsarskoe Selo, that scarcely having ascended the throne, she decided to make it her summer residence and gave order to Zemtzov, the celebrated architect of that time, to work out a plan for the rebuilding of the palace. He proposed to construct on each side of the ancient palace a gallery with columns, (peristyle) leading to a wing. Nevertheless in 1743, during the sojourn of the Court in Moscow, the alterations of the building were suspended and began only in spring 1744 under the supervision of the architect Kvassov, who had replaced Zemtzov after his death. Some years ago A. N. Benois had the luck to find a part of the drawing of that plan and, by comparison with other information, one may conclude, that Kvassov intended to add on each side of the building 4 chambers; and, having thus formed the so called "middle house", to add galleries:, two wings, and the "circumferences". 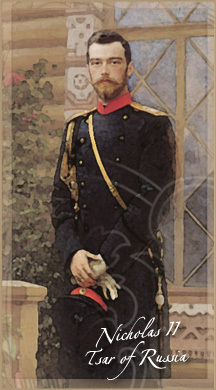 The counselor of the Patrimonial Chancery, Ivan Tschernov, who managed the palace building, did not trust the experience of the young student of architecture, Kvassov, and obtained the order for the architect Giuseppe Trezzini to superintend the ground works. In 1745 Trezzini was replaced by Tchevakinski, who in 1748 also superseded Kvassov; the result of the work of these architects was a palace building, consisting of two small stone wings, of two stories with, 3 and 6 rooms each, in one line with the "middle house". Those wings, as well as the church and the portrait hall, were joined together by vaulted one-storied passages with clear wooden galleries. Those galleries were three times as narrow as the stone ground-floor and on the open part of the vaults between them was laid out the "upper orchard". The state court was surrounded by the low buildings of "the circumference". The construction was already completed in the style of Louis XV, when suddenly, by the order of H.I.H in 1752, quite a new plan of building, according to Rastrelli's sketch, was begun. The rebuilding, under Rastrelli's direction was executed by the same Tchevakinski, with the aid of several Italian helpers and the Russian student of architecture, Neelov. The galleries, between the church and the chambers in the right wing, remained also in Rastrelli's project. To the left side of the middle house was added a large hall, also sometimes called a gallery, and the whole left wing in the second story was transformed into five antechambers. The upper orchard and the light gilded wooden galleries existed until 1773, when they were rebuilt by Neelov into State Rooms. The reconstruction during the reign of the Empress Yelizaveta, amounted to an enormous sum; the Empress Catherine says in her diary of 1748; "The palace was then being built, but it was the work of Penelope: what was done today, was destroyed tomorrow. That house has been pulled down six times to the foundation, then built up again ere it was brought to its present state. The sum of a million six hundred thousand rubles, was spent on the construction. Accounts exist to prove it; but besides this sum the Empress spent much money out of her own pocket on it, without ever counting". As Rastrelli was always obliged to reckon with the already raised parts of the building, the entire facade of the palace is somewhat disproportioned. But, what the palace looked like, when its building was finished by Rastrelli, one can best judge by the copies from' the pictures and prints of the middle of the 18th century. The contemporaries were literally blinded by the magnificence of the adornment, marvels about the palace were related, saying even, that its roof was made of gold. The story is told, that when the Empress Elizabeth arrived with the whole of her court and the foreign ministers to inspect the finished palace, everyone, struck by its splendor, hastened to express his enthusiasm; the French ambassador alone did not say a word; the Empress remarking his silence, desired to know the reason of his indifference; he answered, that he did not see the most important thing, "a casket for this jewel". Indeed, the gilding, both of the inside and of the outside of the palace, had been lavishly used by the architect. Everything, that is now painted in deep olive colour: cornices, pillars, caryatids, were then gilt, and on the roof of white tinned iron, stood a gilt wooden balustrade also decorated with gilded wooden figures and vases. The words of the flatterer were however prophetic: the blinding luxury and brilliancy of the facade did not prove lasting; notwithstanding, that in the space of 14 years, 6 poods, 17 pounds, and 2 grams of pure gold were employed, the Empress Elizabeth, considering the palace not sufficiently decorated, and seeing the insolidity of the wooden and molded ornaments of the facade, ordered them to be replaced by bronze gilt ones. The work was to have been begun in the spring of the year 1762, but as the Empress died at Christmas 1761 the scheme was not carried out. After some hesitation the Empress Catherine II refused to place bronze decorations and ordered to calculate the cost of the gilding. The sum for the redecorations proved to be so enormous, that an order was given to remove entirely all the worn out ornaments and to paint the muddled gilt parts. The contractors offered 20000 ducats for the right of cleaning off the remains of the gilding, but Catherine proudly answered, that "she did not sell her old things", and ordered everything to be painted in ochre. Not everyone who had seen the palace in its almost untouched magnificence, was in ecstasy over it. William Coxe, who travelled in Russia in 1778, notes, that the palace is disproportionately long and of a heavy architecture. The abundance of gilding (evidently inside the palace) he considers very tasteless. Other contemporaries found it beautiful, but not artistic; it is said in the journal of the Countess Golovina: "The Palace in Tsarskoe Selo is spacious and very beautiful, although it is built in the Gothic style. The Empress Catherine added for herself a separate building in a more artistic style". Without judging Rastrelli's taste, one can only affirm, that in its present state the facade of the palace is far from being a masterpiece, which the imagination of the celebrated architect of the sumptuous time of Elizabeth created. The two collateral buildings were superstructed during the reign of the Empress Catherine II; both the palace and the dependencies were deprived of their decorations on the roofs: the front steps were removed; entrances were added; the shapes of the church domes were altered; the white roof is no more; nor is there any more gilding; the luxurious flower-gardens, which occupied the part of the square between the dependencies, and descended in terraces to the charming Hermitage, have disappeared. All the proportions were changed, but in spite of that, and the extreme length of the facade, the Palace in sunshine produces a fascinating impression. The entrance to the palace square is from the side of the Dvortzovaya Street, through one of the three gates, made by the Master Locksmith Kordoni from a drawing of the Chief Architect, Count Rastrelli. On the square, during the residence of the Imperial Court in Tsarskoe Selo, take place reviews of the troops. There is a paragraph in the chamber-fourriers' journal, that also during the reign of Catherine the Great, the troops on solemn days came on the square before the rooms of Her Majesty and "made congratulation by music and drumming". The court of the Great Palace is surrounded on one side by the palace facade with two wings and the curve of the "circumference", (the expression of the time), and by one storied buildings dependencies on the right and on the left. They were built at the same time as the palace, and are occupied to-day by the officials, who arrive in Tsarskoe Selo with the Imperial Court. In the time of Catherine the Great in the dependence near the middle gate, rooms were arranged for the disposition of the embassies, arriving at Tsarskoe, and for newly married couples, because often in the Church of the Great Palace weddings in the Empress' suite took place. After a triumphal dinner the newly married couple was escorted to those rooms, and on the following day they presented themselves to the Empress to thank her for her presence at the wedding and for the solemn dinner or ball, which was given in their honour to close the day. During the first 20 years of the 19th century the palace court was on summer evenings the meeting place of the best society of Tsarskoe Selo, who gathered to listen to the military band, executing the retreat to the palace guard-house. The whole palace has 140 sagenes in length. Opposite the centre of the forefront, between the dependencies is the middle gate; beyond which, directly behind the white gate, begins the principal avenue of the Aleksandrovski Park. In the distance is visible the red building of the Arsenal.